Dimensions 0.75 by 5.25 by 7.25 in. Family life; New York (State); New York; Fiction. Pearl Littlefield's first assignment in fifth grade is complicated: She has to write an essay about her summer. Where does she begin? Her dad lost his job, she had to go to a different campÃ¢ÂÂone where her older sister Lexie was a counselor-in-training (ugh! )Ã¢ÂÂand she and her good friend James Brubaker III had a huge fight, which made them both wonder if the other kids were right that girls and boys can't be good friends and which landed one of them in the hospital. 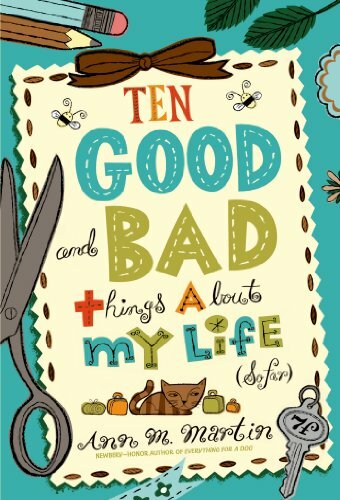 And there's much, much more on the list of good and bad things, as Ann Martin takes this appealing character into new adventures through which young readers will see that good or bad, life is what happens when you're making other plans, in Ten Good and Bad Things About My Life (So Far). About: Pearl Littlefield's first assignment in fifth grade is complicated: She has to write an essay about her summer.